Pen has just received an extremely rare collection of Edgar Allan Poe’s complete works. Rumor has it a secret code, trapped within the books’ leather-bound pages, leads to buried treasure. Well, it looks like they got the buried part right – because, as Pen sells off the valuable volumes, everyone who buys…dies. 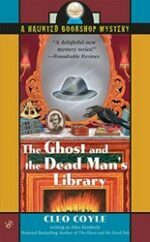 Once these books go missing from their owners’ cold hands, Pen will need resident ghost and hard-boiled P.I. Jack Shepard to help crack the case. Inspector Kurt Wallander returns in the second of Henning Mankell’s award-winning, internationally-bestselling detective novels, this time to investigate the execution-style killing of a Swedish housewife. The local police focus on a determined stalker who’s suddenly nowhere to be found, but when they finally catch up with their prime suspect his alibi turns out to be airtight. Digging deeper, Wallander discovers that the woman’s death is more complex and dangerous than a crime of passion. Christian Family Refuses to Be Marked by the Beast. A young man (Elroy Sandy) and his family are dealing with mysterious events around their home. They are being watched. The Sandy’s must comply to a new human microchip law or face punishment. Will they stand up to the bully? The Governor she trusted to protect her wants her dead. 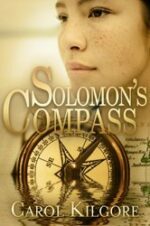 The target she was sent to capture wants to help her live. When Caitlin finally gets the chance to join her brother on a mission outside of the walls of the town she has been trapped inside all of her life, her entire reality is shaken. Enemies appear in the strangest of places. The zombie-like ‘Mad’ roam the forests. 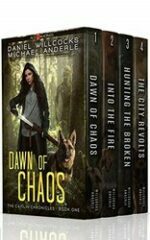 Vampires and Werewolves from the fairy tales of her childhood become reality as Caitlin is forced to discover the truth of the Age of Madness and begin the fight for justice. 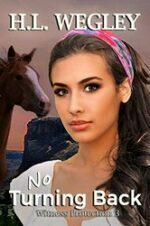 Can Caitlin lead the charge on freedom, and start the revolution that will change her world? When a young man much like her dead father offers her protection, will trusting him bring another massacre, one that takes her life too? After once being called a coward, Drew West has a mile-high chip on his shoulder and an impressive resume of fighting skills. He’s ready to fight anybody, anywhere, especially if someone needs protection. When Suarez tries to kill Beth in Big Bend, Drew humiliates the drug lord and captures Suarez’s little brother, Ricardo. Hector Suarez places Beth and Drew at the top of his hit list. When a federal prosecutor offers Beth and Drew protection for their testimony against Ricardo, Beth fears a safe house cannot stop another massacre. Charlie’s mother is hospitalized, his prestigious job is in jeopardy, his inventions are wrenched away from him, and one by one, his former colleagues are being murdered. Every shred of evidence points to Charlie as a cold-blooded killer. And soon he is unable to tell whether he’s succumbed to the pressures of work and become the architect of his own destruction, or whether he’s the victim of a relentless, diabolical attack. 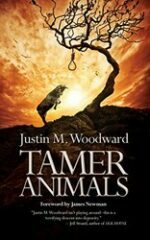 Now he must save his own life – all the while realizing that nothing can be trusted, least of all his own fractured mind. Magical libraries, ego-eccentric gravity experts, O.C.D. people, scary stage shows, dirt-poor romance, spirit guides, calming yourself down, moment stealing harpies, corrupt elections, gluttonous cake eaters, evil doppelgangers, drunken incoherence, circles, cross dressing witches and warlocks, catching up with the past, antiquated technology, treasures in the trash, brain surgery, irreplaceable loss, gangbangers and their dogs, comic books that contain bats and/or wolves, the murder of relatives, revengeful ex-girlfriends, changing fact into fiction, magical smartphones, facing your unfiltered fears, severed lizards and dangerous Christmas gifts. Mayah, princess of the Draken House of Al-Maddeiri, has been haunted by ghosts for years. Visions, dreams, and nightmares – ghosts reaching out to her, begging her to save them. But how do you save people who are already dead? 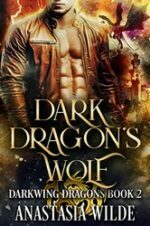 Tristan Barnes is supposed to be Mayah’s healer, reaching into her mind with his white wolf powers to fix the damage, slay the ghosts, and coax her lost dragon back out into the world. When Coast Guard Commander Taylor Campbell returns to Rock Harbor, Texas, to tend to her uncle’s estate, she meets a mysterious former Navy SEAL, Jake Solomon, and learns her uncle didn’t drown accidentally. His murder was one in a string of murders of a group of Vietnam veterans who called themselves the Compass Points. Before her uncle died, he sent Taylor a message with the location of his buried treasure. 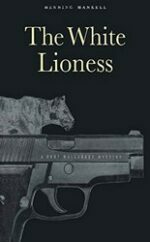 Unearthing it will place her squarely in the killer’s crosshairs, but she’s determined to fulfill her uncle’s last wish. Jake, sent to protect her and find the killer, has other plans. Out of work and down on her luck, Lucie Rizzo is forced to do the one thing she’s long avoided–come home to her nutty, mob-infested family. 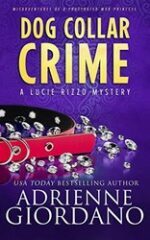 A move that brings her back into the tempting arms of Frankie Falcone, the smoldering Italian ex who’s no stranger to living with the mob. 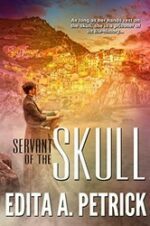 The moment Gia’s hands touch a skull, the living history of the skull’s owner bursts inside her head. Indeed, for as long as her hands rest on the skull, she is a prisoner of its life-history. 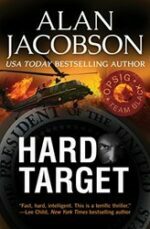 Hard Target by Alan Jacobson is a ticking time bomb that will keep you clinging to the edge of your seat . . . and turning the pages. An explosion pulverizes the president-elect’s helicopter on election night. It soon becomes clear that the group behind the assassination attempt possesses far greater reach than the FBI Joint Terrorism Task Force has yet encountered—and a plot so deeply interwoven in the country’s fabric that it threatens to upend America’s political system. 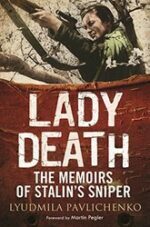 The wartime memoir of Lyudmila Pavlichenko is a remarkable document: the publication of an English language edition is a significant coup. Pavlichenko was World War II’s best scoring sniper and had a varied wartime career that included trips to England and America. From USA Today bestselling author Catherine Bruns comes a boxed set of three full-length mysteries set in the high stakes world of real estate featuring amateur sleuth Cindy York! 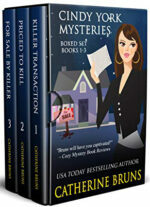 This boxed set includes the first three novels from the bestselling cozy mystery series, including: Killer Transaction (book #1), Priced to Kill (book #2), For Sale By Killer (book #3). The hellish murder of a Japanese family summons three men and one woman. William H. Parker is a captain on the Los Angeles Police Department. He’s superbly gifted, corrosively ambitious, liquored-up, and consumed by dubious ideology. 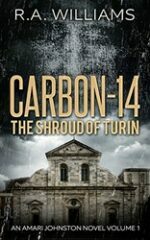 He is bitterly at odds with Sergeant Dudley Smith—Irish émigré, ex-IRA killer, fledgling war profiteer. 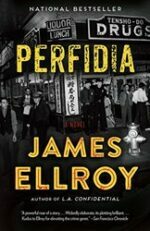 Hideo Ashida is a police chemist and the only Japanese on the L.A. cop payroll. Kay Lake is a twenty-one-year-old dilettante looking for adventure. The investigation throws them together and rips them apart. The crime becomes a political storm center that brilliantly illuminates these four driven souls—comrades, rivals, lovers, history’s pawns. Riley is lithe and fast, her tongue every bit as sharp as her sword. She’s a new-age knight pledged to keep her King and countrymen safe. Riley’s hearing rumors about a dark mage in the north. He’s amassing a ruthless army and practicing twisted magic. 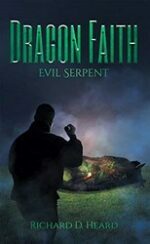 His evil past intertwines with Riley’s kingdom… and he’s coming to claim it. 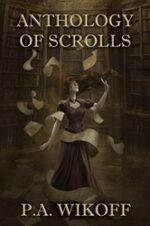 With the kingdom at stake, Riley embarks on a collision course with this mage… and with her own mortality. 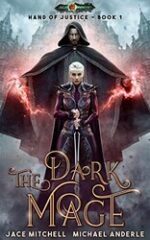 Will Riley’s fighting prowess prove enough to vanquish the dark mage and his legion, or is her fate already sealed in his twisted magic? You’ll love this book, because it’s got a hero you can cheer for and the fun doesn’t stop. Grab it today! From the moment they arrived, strange noises echoed around them… a sense that they were being watched pervaded the campsite… and that was just the beginning. When one of them vanishes and a horned monstrosity pursues the others, it becomes clear that the legends are real. …and the truth is so much more horrific than they could ever have imagined. The only begotten Son of God became a human being, became a man, and there is a reason for this immensely important world-historic event. Without knowledge of the circumstances, the life and mission of Jesus remains a mystery. This book addresses fundamental questions about Jesus Christ. 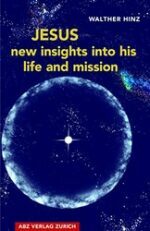 It sheds light on the meaning of Christ’s parables and sayings and explains, as well, the significance of his incarnation and his act of redemption. The meaning and purpose of our own human existence is also made clear. Jim Qwilleran and his cats Koko and Yum Yum must solve a curious caper in this mystery in the bestselling Cat Who series. Something is amiss at Maus Haus. Not just the mystery of an unsolved “suicide” which hangs over the old mansion, but something ominous in the present-day residence. When Qwilleran moves in to work on his new gastronomical assignment, strange things begin to happen. First it’s a scream in the night, then a vanishing houseboy. But when his old girlfriend disappears, something has to be done. Qwilleran, Koko and Yum Yum set out to solve the mystery—and find a murderer! More than 99 percent of the evidence proves the Shroud of Turin is the authentic burial cloth of Jesus Christ. Only one test says otherwise – the carbon date performed in 1988. Corny Oliver is a wealthy banker with a dark past… He used to drink. He used to gamble. He used to womanize. But … he’s guilty of an even worse crime… He’s spent his life trying to make up for one wrong. And just when he thinks he has, evil finds him. How far would you be willing to go if you were chasing freedom? When Allie Santiago, international scholar at Oregon State University, and her family are captured and labor trafficked by the same drug cartel that drove her father from Mexico, she learns the cartel thugs plan to sell her to human traffickers. 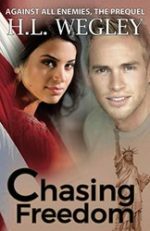 Allie escapes, running a marathon through the mountains of Northern California, and collapses in the arms of Jeff Jacobs, a disgraced Olympic decathlete who wants to regain both his honor and his former glory. When Jeff’s actions engage the FBI and US Marshals to protect Allie and free her family from the cartel, a war breaks out in the mountains along the Oregon-California border. All day benders, promiscuous nights, and endless student loans: the world seems a strange and unusual place for both Tom and Erika, but then college makes everyone feel like a fish out of water. With their own unique brand of wit, they write the world around them in their own terms. But beneath the surface is a searing, truthful look at the lives of two college students way beyond their years, but still bound by the painful memories of the past. A poignant love story as well as an intimate coming-of-age drama, Shatter the Roses examines what it means to be drawn to other people, to search desperately for understanding, and to find company even in the most unlikely of places. Book II, Two Days in Caracas. On the hunt for an assassin, Titus Ray faces a threat he never imagined. Can he overcome the obstacles and capture Ahmed Al-Amin before it’s too late? 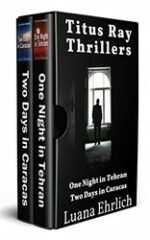 In this pulse-racing Christian thriller, CIA intelligence officer, Titus Ray, travels from Costa Rica to Venezuela in an effort to stop Ahmed Al-Amin, a Hezbollah assassin, from murdering a high-profile government official. Romania, World War II. Nelu escapes from his home and finds shelter with other homeless children in the caves beneath Bucharest’s spectacular concert hall. They call it “The Fortress”. Daniel is the son of a well-to-do Jewish family living in the heart of Bucharest. On the eve of WWII, Daniel and his family are forced to flee and take refuge in those caves with the help of the children. Daniel, Nelu and the other homeless children, find themselves united when facing the Nazi threat. For Daniel and his family, some of the children were nothing but a concept prior to the war, but now – no race or socioeconomic differences are relevant. In this reality they are all equal, bound by the need to survive. They must deal with hunger, poverty, and the imminent threat of death.